Building on the success of QSC’s K Series, the KW181 subwoofer, like the rest of QSC’s KW active loudspeakers, represents QSC’s next evolutionary step in wood enclosure loudspeakers. The system engineers created the KW series to feature all the groundbreaking electronic attributes of the popular K Series while at the same time designing a product that is both smaller and significantly lighter than previous wood enclosure models. 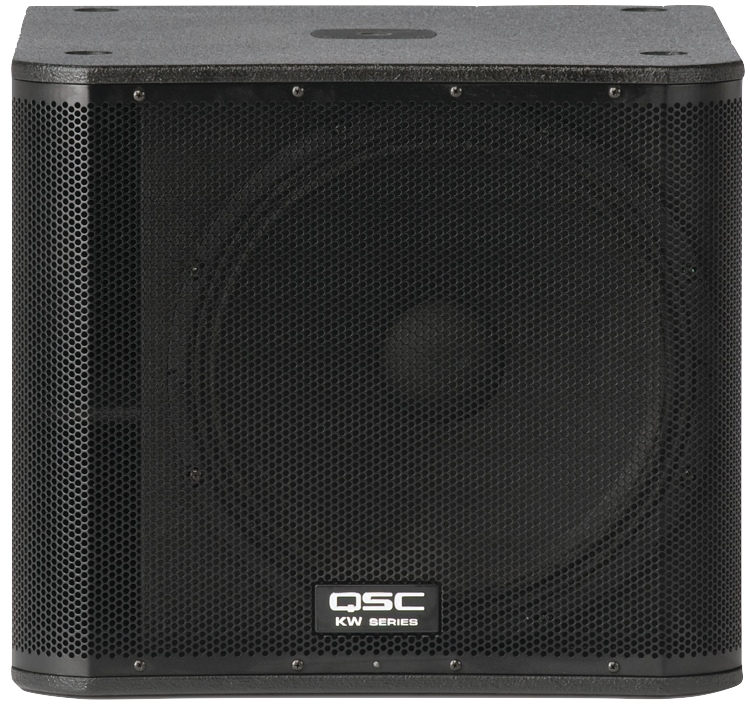 Extensive signal processing is employed throughout the QSC loudspeaker, providing levels of sonic clarity and total output that defy all expectations for a speaker in this category. Intrinsic Correction: first featured in QSC’s high-end line array products, it maps 65-75 spatially-averaged measurements to IIR and FIR filters that actively adjust time, frequency, and amplitude response to a maximally flat bandpass target. The result is an active speaker that behaves equally well across the entire sound field. DEEP and excursion limiting allow for extended low-frequency response by actively managing low-frequency transients without degradation of the underlying signal or adjacent frequencies. GuardRail protection, first introduced on QSC’s GX Series amplifiers protects both the amplifier module and your performance from unnatural and destructive clipping. 20.1 x 23.4 x 29.9"